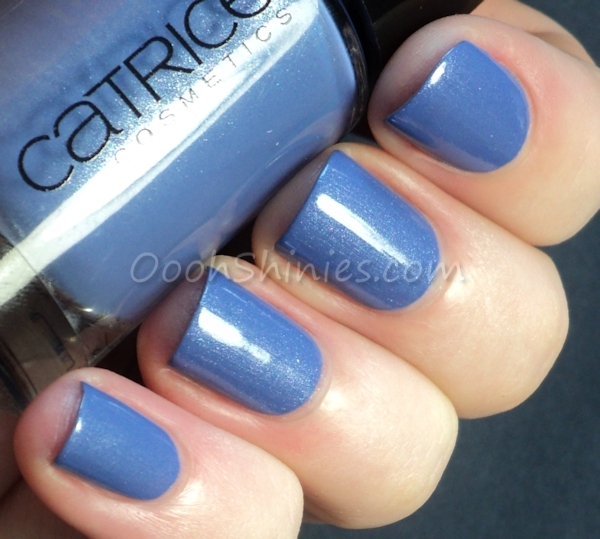 The polishes did go up in price a bit, and not all of them are new, but Catrice also went with a new brush and formula. According to them the brush is a reservoirbrush, that should hold enough polish to cover the nails in 1 stroke. And they say that these polishes have a high-gloss gel effect! So I used no top coat for my swatches, are they really that glossy? Let's have a look! 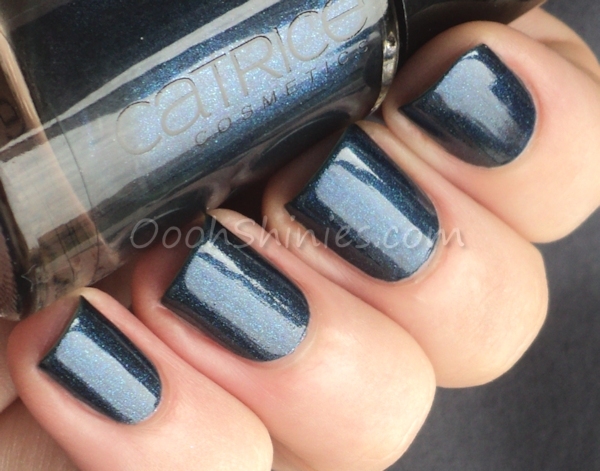 First up is Denim Moore, a periwinkle shimmer polish that covered in 2 coats. The application was nice with this one! I do think it's pretty glossy as well, wouldn't you agree? Purple Reign looked a bit watery on the first coat, but the 2nd coat fixed that and gave full coverage. 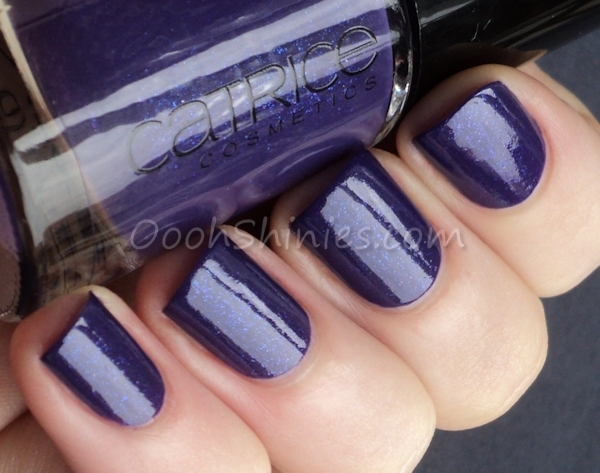 It has a gorgeous blue/purple shimmer, but a high-gloss finish? Where would that be then! Yep, I'd definitely use a top coat for it, you know I like my polish shiny and smooth! 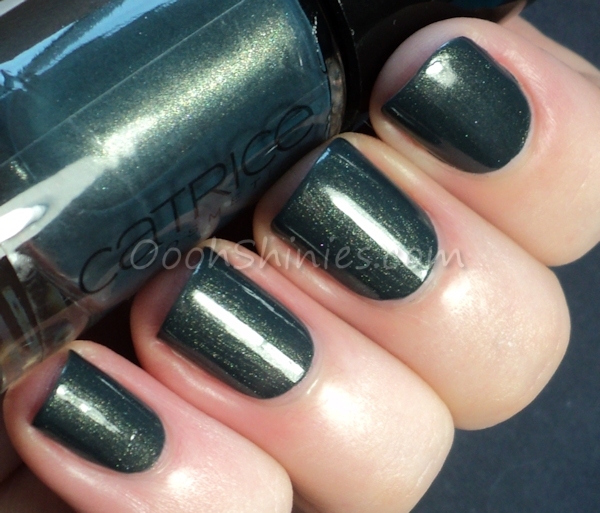 Georgie here is a polish that we've seen before, but I never picked it up, so I can't compare it to the old formula. But I can tell you that it didn't impress me with it's formula! I ended up with slightly flooded cuticles, and as you can maybe see on the tips, it wants to crawl up and give a wee bit shrinkage. Next time I'd wrap my tips with this one. I used 2 coats. Well hello there, gorgeous! There are another 6 polishes standing in front of me waiting to be swatched, but I think I can already say this has to be one of my favorites. Just like Purple Reign, it felt a bit watery on the first coat, but 2 coats was enough. 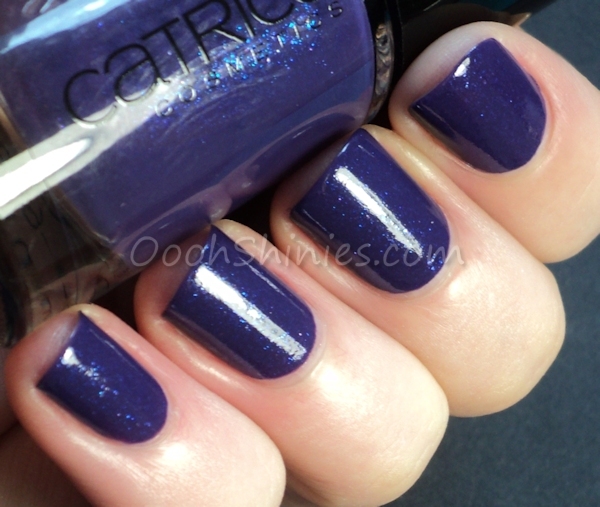 I'm Dynamite is the glitter topcoat in this new core line. It's silver glitter with a hint of blue in different shapes and sizes. It looks like the larger pieces are curled, but on the nail they do lay flat. 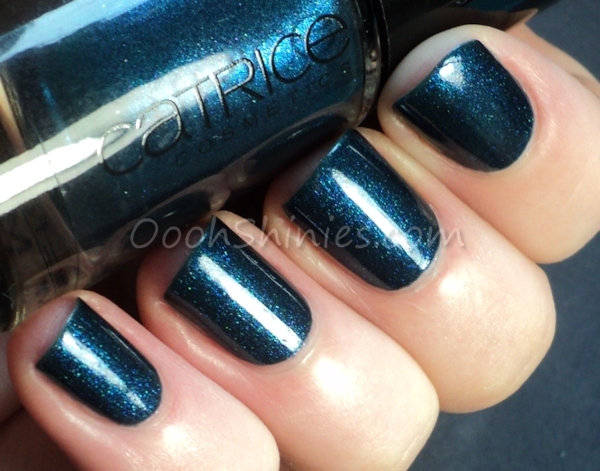 It looks more blue in the bottle than on the nail, where the silver is most obvious. I'm Dynamite applied fairly easy, I did have to dab a little bit to get the larger glitters everywhere and to prevent piling on the tips, but no fishing in the bottle needed. I used 1 coat here, and no top coat. As you can see the glitter isn't too gritty, it dries up somewhat smooth on itself. It looks nice, but I can't say I'm loving it. But I'm not a crazy glitter lover to begin with! If you are, it might make a nice addition to your stash. Some very pretty and unique colors there, although I'd rather not see colors return and just get new ones instead tbh. 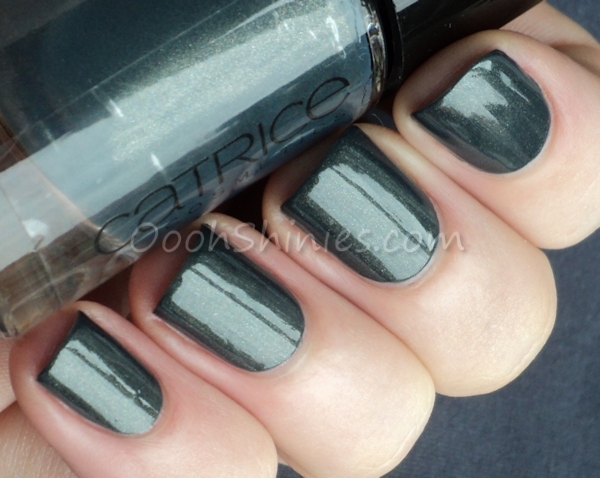 And as you might know, I really disliked the previous Catrice brush! But... I think this one is better. Phew! Not perfect, but I found it easier and less wobbly-wide than the previous one :) And they're all 2-coaters, which helps as well. The glossy finish seems to be around on some polishes but not all, but I'd always use top coat anyway, so for me it doesn't matter all that much. So that was the first part! I'll hopefully have time tomorrow or Friday to swatch the second part with Mint Me Up, Petrolpolitan, Goldbusters, Oh My Goldness!, Bricky Mouse and The Monkey Gets Funky. What do you think of the new polishes so far, anything you want to get?